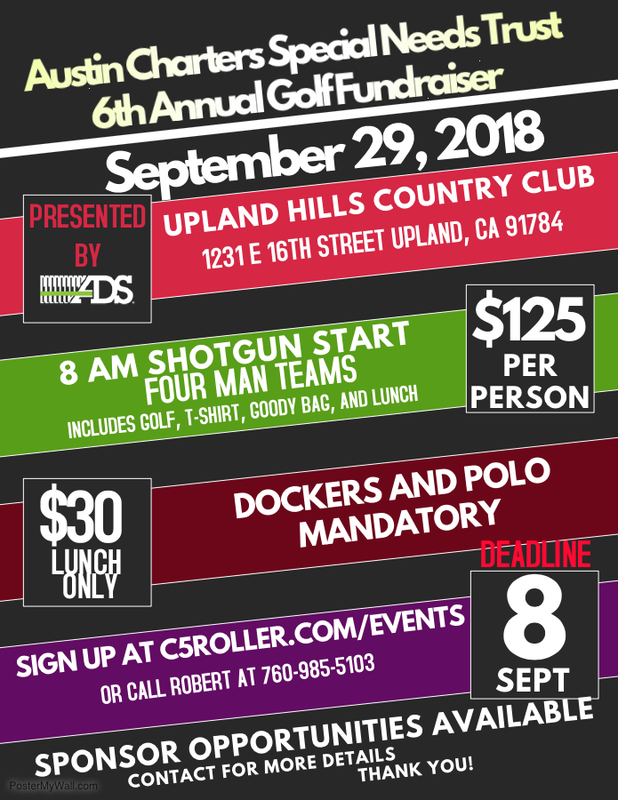 Please join us Saturday, September 29, 2018 for our 6th annual golf tournament Presented by ADS. This years tournament will be held at Upland Hills Country Club in Upland,Ca. If you wish to attend only the lunch to this event, the fee is $30. Highlights of the Austin Charters Special Needs Trust 2nd Annual Golf Fundraiser, located at Sierra Lakes golf course, in Fontana, California on April 5th, 2014. On May 16, 2015, the "Austin Charters Special Needs Trust" set out towards Shandin Hills Golf Course for their 3rd Annual fundraiser. The following clip recounts all of the fun memories that were made that day. Thank you to all who came out! We hope to see everyone next year!